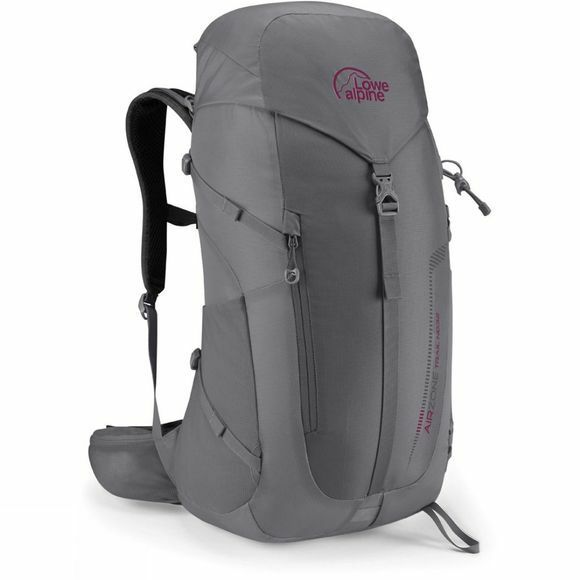 The Womens Airzone Trail ND32 Rucksack from Lowe Alpine is a rucksack which is brilliant for trekking and day hikes wherever you may be when exploring the wild outdoors! It has all the features you may need or require such as being hydration system compatible meaning you will never be caught out having to stop or fumble around your bag for a drink! It also has a rain cover for the pack so that no matter the weather conditions your items will be protected. 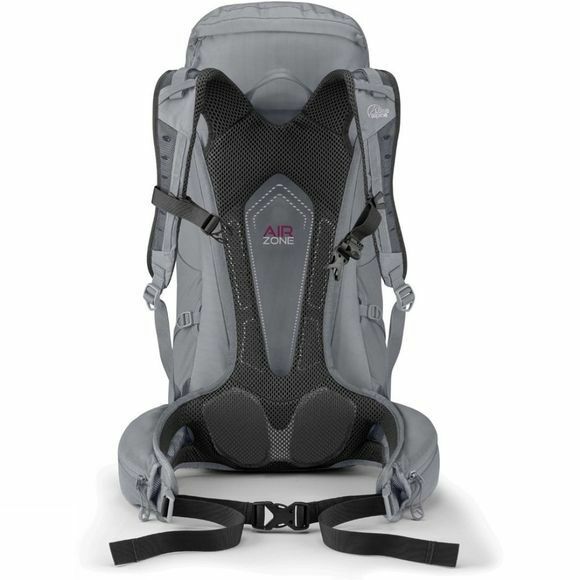 The design means that you will be comfortable when wearing the rucksack due to it being very lightweight and having the required sternum and side compression straps so you are always comfortable when on your next big adventure! The back system on the AirZone also means that it maximises the airflow to your back meaning it is very breathable and will allow moisture to not build up.